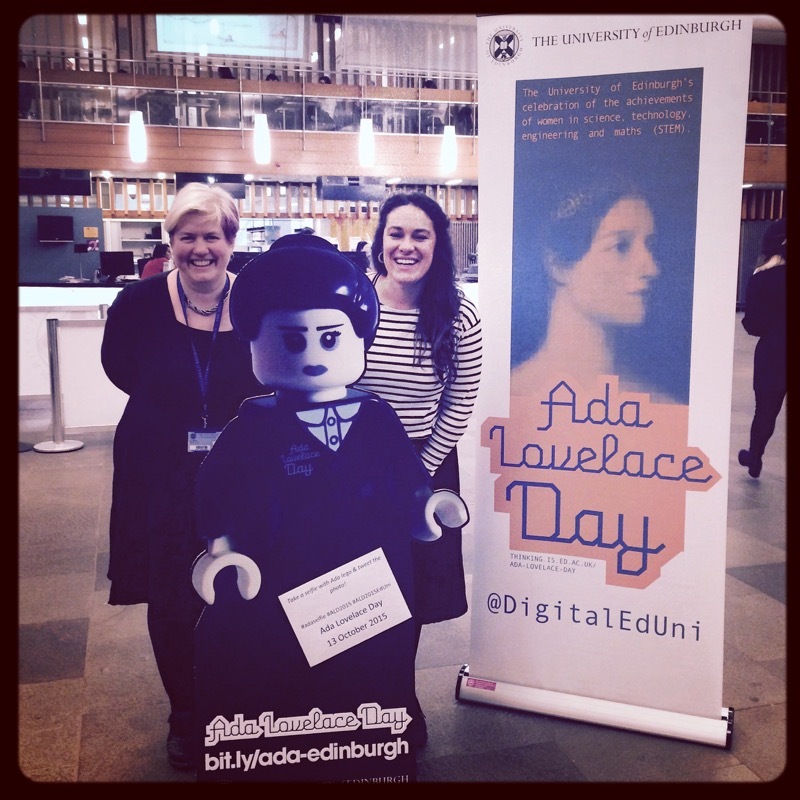 Yesterday I was lucky enough to participate in the first Ada Lovelace Day event at the University of Edinburgh. The event, which was attended by a wide range of staff and students from across the University, featured an eclectic mix of talks and creative activities. Melissa Highton introduced Ada herself and highlighted the importance of her relationship with her mentor, the Scottish science writer Mary Somerville; Jo Spiller spoke about the Edinburgh Seven, the first women to matriculate as undergraduates at a university in the UK, who were the subject of a Wikimedia editathon at the University and who have been commemorated with a plaque that was recently unveiled at the Anatomical Museum; Katya Krasnopeeva from the Pilizota Lab gave an amazing demonstration of how Lego is being used in the lab; and Stewart Cromar introduced us to his, frankly wonderful, Lego Lovelace & Babbage. 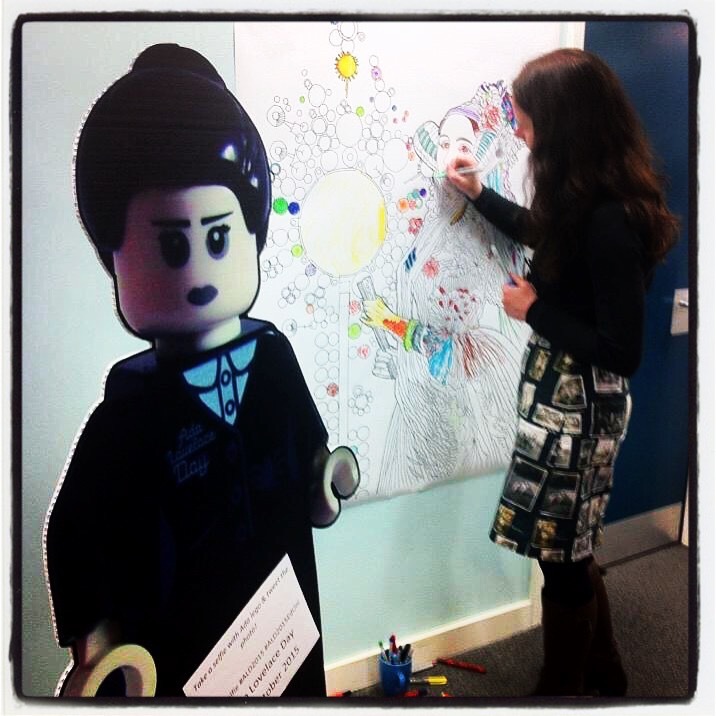 Stewart has submitted Lovelace & Babbage to the Lego Ideas challenge, where they are steadily gathering votes. 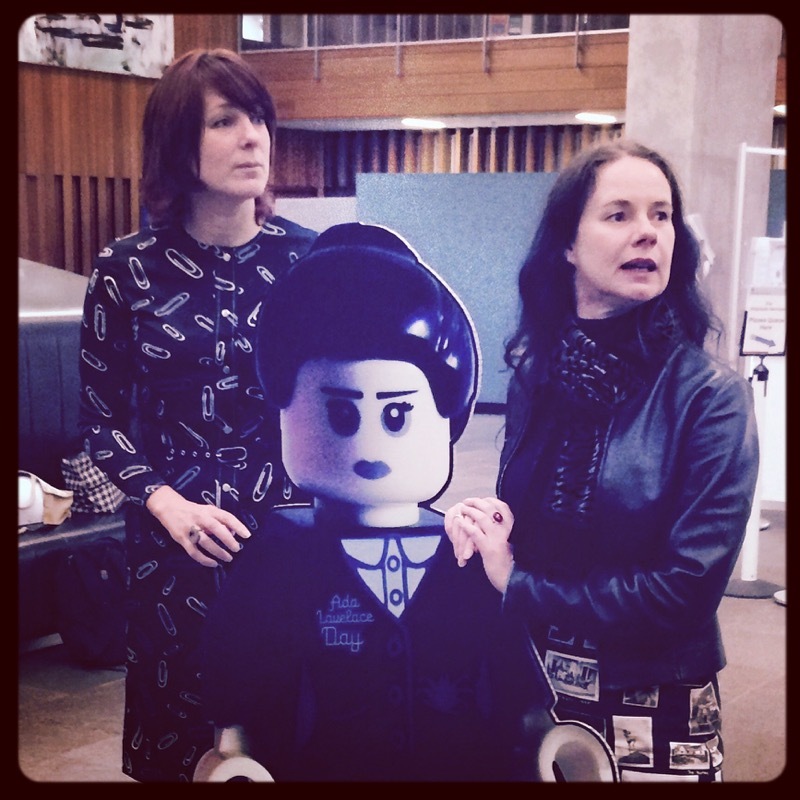 If you haven’t already done so, please go to http://bit.ly/vote-ada and add your vote to make Lego Lovelace a reality. 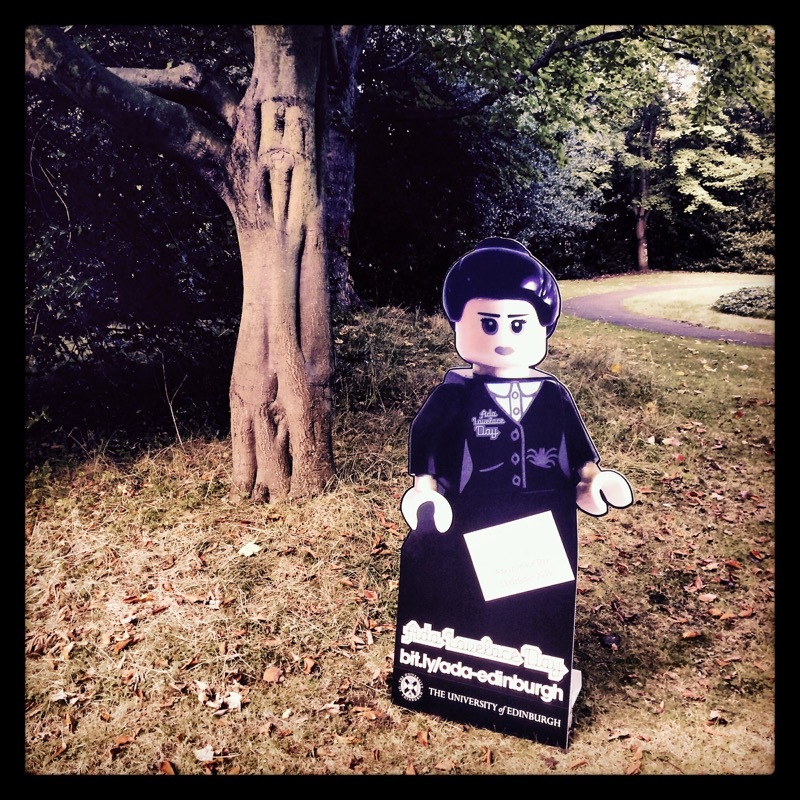 You can also follow Lego Lovelace on twitter and facebook. As if that wasn’t enough there was Lego Lovelace gingerbread made by my lovely colleague Nicola Osbourne and a beautiful colour-in Ada by Jackie Aim. Me and two inspiring women!